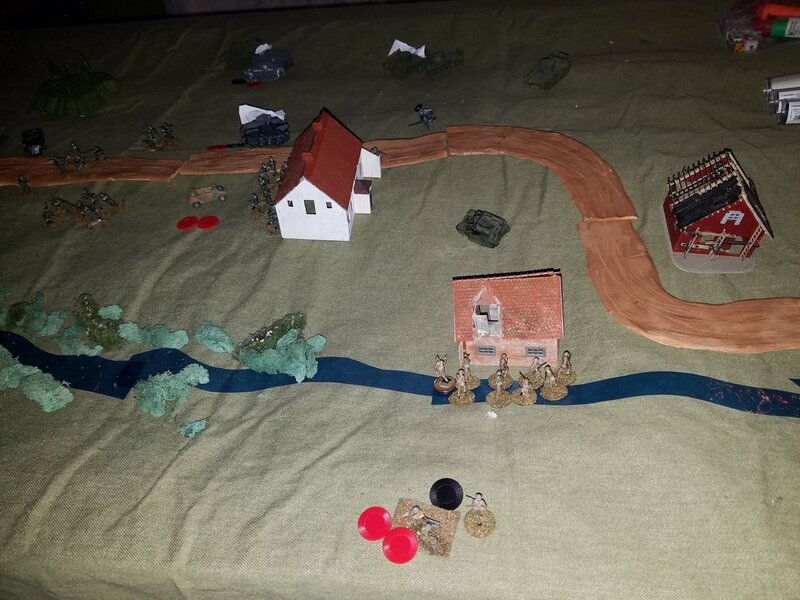 Thanks to last minute help from John Ewing and Tim Whitworth, I was able to umpire a nice game this past Sunday, here in Vermont, of a hypothetical June 1940 encounter in France. 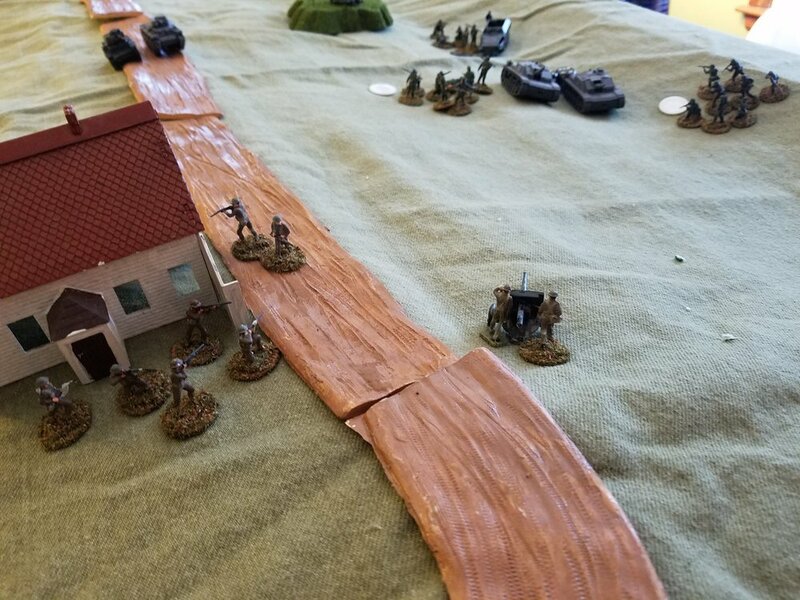 We had Germans come down the road under Blinds with two platoons of infantry supported by two StuG III assault guns supported by two Panzer 38(t) tanks. The Germans moved fast, the British 2-pounder popped up to take a shot but was quickly dispatched. Things were looking grim for the Brits but then four Matilda II tanks showed up not only in the nick of time but, thanks to a random entry point D6, right on the flank of the StuGs. 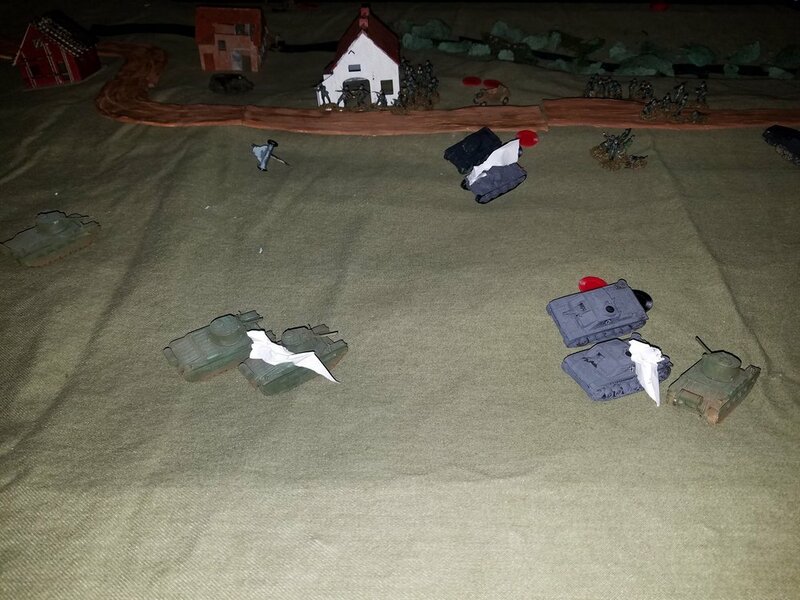 A firefight ensued: one Matilda was knocked out by after three turns of firing, one StuG and one Pz38 were knocked out, whilst the other StuG and the other Pz38 were immobilized and awaiting assured destruction.